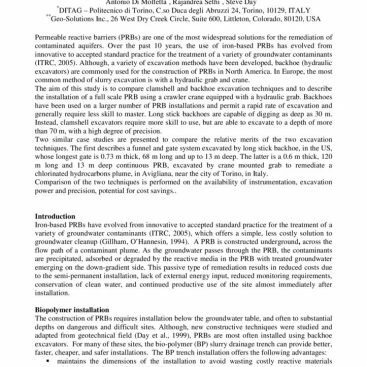 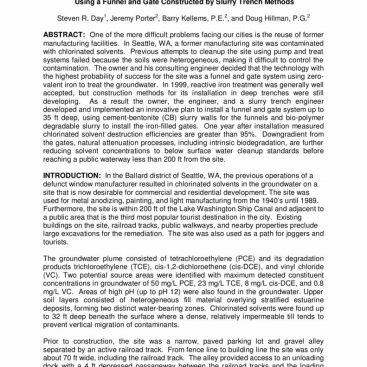 Geo-Solutions is a leading installer of permeable reactive barrier walls (PRBs), a highly specialized type of slurry wall construction which is an economical alternative for applying chemical reagents to contaminated groundwater. 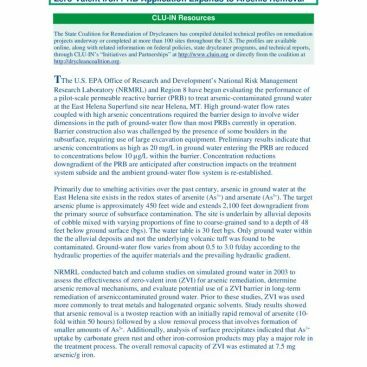 PRB Walls are constructed as permeable barriers placed perpendicular to groundwater flow. 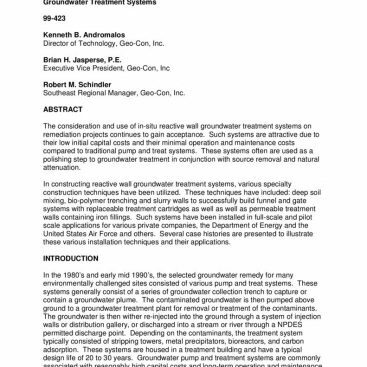 They can be installed using the biopolymer slurry trenching (BP Trench) method, shallow soil mixing or conventional open-cut trenching. 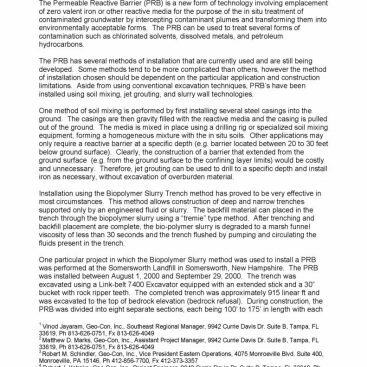 Our installation techniques permit the construction of PRB walls at depths of 70 feet or more even under high groundwater conditions. 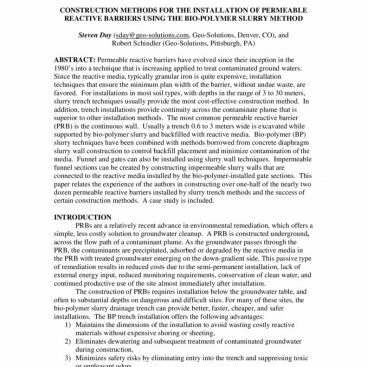 Geo-Solutions can install PRB walls in virtually any geology, usually without dewatering, use of sheeting, shoring, or the necessity of having personnel inside the trench. 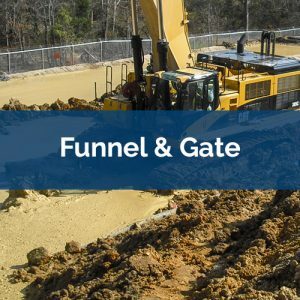 Technology can also be utilized in concert with low permeability Vertical Barriers placed to direct groundwater flow through the permeable reactive barriers, commonly referred to as a “funnel and gate” system. 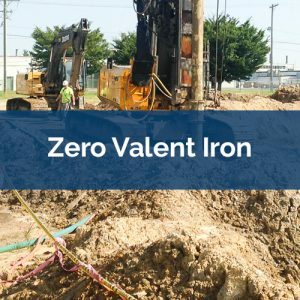 Reagents typically placed using permeable reactive barriers include zero valent iron (ZVI) as well as, activated carbon, peat moss and many other customized remedial agents. 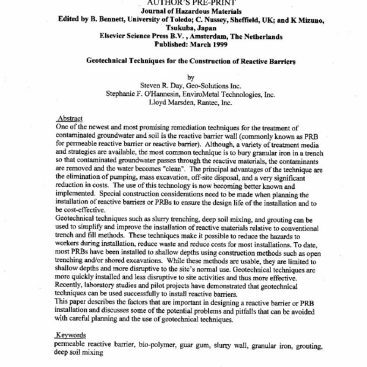 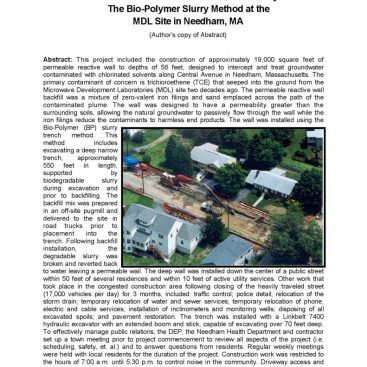 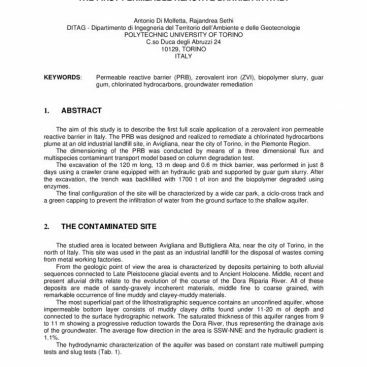 There are many publications written by Geo-Solutions’ Staff and other industry leaders, which focus on detailed technical aspects of Permeable Reactive Barriers.